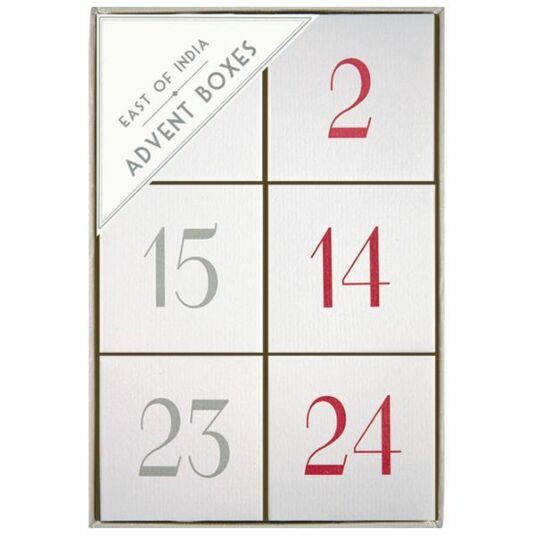 Bored of traditional Advent Calendars? Want to give something other than small squares of chocolate all through December. 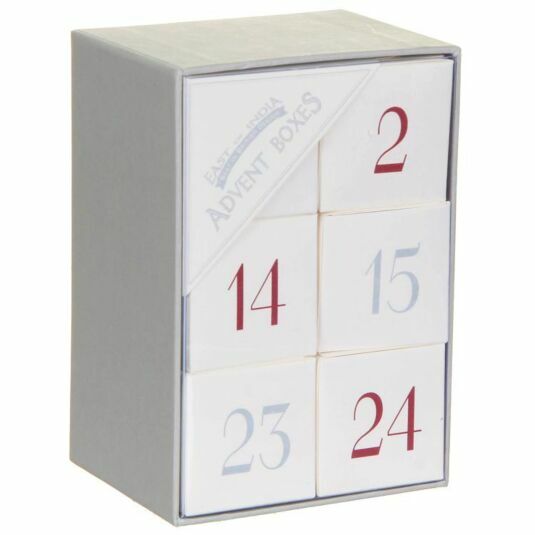 These Hanging Advent Boxes are a charming way to count down the days to Christmas. Each set comes contains 24 flattened boxes for quick self assembly. 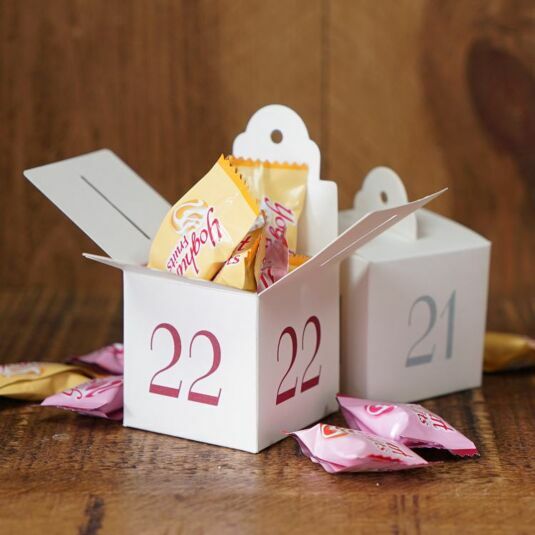 Just like a regular advent calendar, simply place a small gift or sweets inside each of the 24 numbered boxes, and then tie them to the string (included in the set). Once tied, hang the string like a washing line for a lovely Christmas decoration.